Softline Pastel in association with NGO Solutions and CMDS has carried out extensive research with regards to the needs of Non-Profit Organisations to develop Pastel Partner for Non-Profit Organisations. 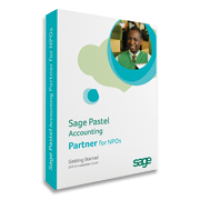 Accounting and financial management in Non-Profit Organisations is different in many ways to traditional business organisations and many NPOs struggle to tweak and adapt traditional accounting packages for their specific needs. The greatest challenge facing the accounting team of a Non-Profit Organisation is reporting the same information in different ways, to different stakeholders. The Board requires one set of reports showing the whole organisation’s financial position. The programme managers require financial information (usually compared to budget) for their specific programmes/projects. The funders require financial information divided differently between each funder and in a specific format specified by each funder. Pastel Partner for NPOs assists in alleviating these challenges. Reports that use NPO terminology such as surplus, deficit, accumulated funds, restricted reserves, etc. A generic chart of accounts is available when using the Setup Assistant to create a new company. You can allocate income and expenditure to projects. Projects can be grouped together as required. Various levels of grouping can be created e.g. : projects can be grouped into regions, the regions can be grouped into programmes and the programmes can be grouped into overarching objectives. Reporting by project or group level (Income Statement, compared to budget, and General Ledger detail). The BIC module will enable reporting requirements to be met through customised reports. Unlimited access to Pastel Support, where specialised staff will assist in meeting the needs of the NPO sector. Unlimited access to the NPO Customer Zone, which includes a range of resources related to NPO accounting and financial management, frequently asked questions, BIC reporting templates and more. * This package contains one user licence. Users can be purchased in increments according to your needs. Additional users can be purchased from Softline Pastel. One user license equates to the loading of Software onto one PC.